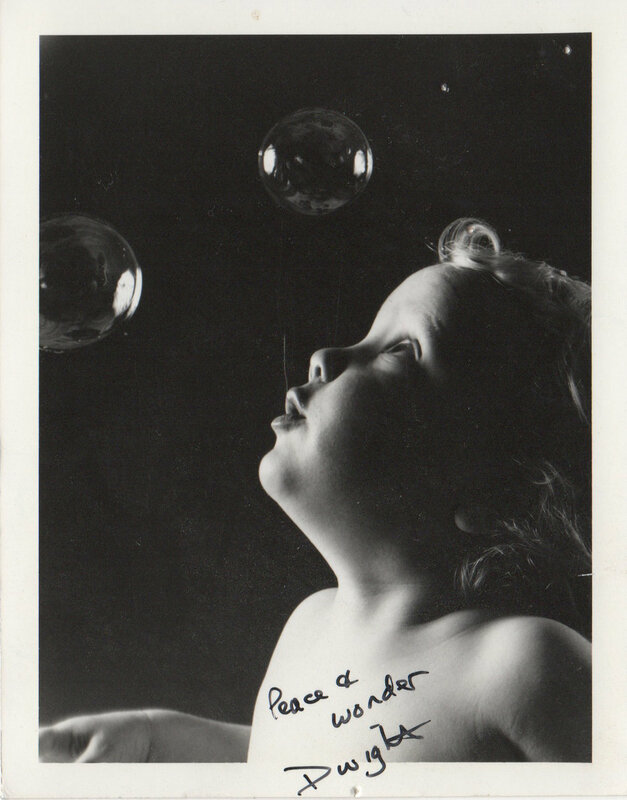 Photo of a baby looking at bubbles, signed “Peace & wonder, Dwight.” It was mailed as a postcard and addressed to Doug and Pat. The date is not legible, but it was a 15-cent stamp. The return address is “Dwight Cendowski, Inc., Photojournalism” in Northville, Michigan.